On March 28, 2017 in Ashgabat, President of Turkmenistan Gurbanguly Berdimuhamedov held talks with the Prime Minister of the Republic of Armenia Karen Karapetyan, who arrived in Turkmenistan on March 27. Expressing sincere gratitude for the warm welcome, the Prime Minister of Armenia conveyed cordial greetings from the President of the Republic of Armenia, Serzh Sargsyan, to the head of the Turkmen state. Expressing gratitude for the congratulations and kind words, President Gurbanguly Berdimuhamedov also conveyed sincere greetings to the top leadership of the Republic of Armenia, expressing confidence that today's meeting will serve to strengthen the Turkmen-Armenian ties and enhance effective cooperation between Turkmenistan and Armenia. During the meeting in a narrow format, the President of Turkmenistan and the Prime Minister of Armenia discussed a wide range of issues of the bilateral partnership, paying special attention to the implementation of the agreements reached earlier and the opportunities for developing fruitful contacts. Considering the huge potential for development of cooperation in the trade and economic sphere, the sides confirmed mutual interest in further intensifying partnership in this direction. President Gurbanguly Berdimuhamedov stressed that, for its part, Turkmenistan intends to develop in every possible way traditionally friendly, constructive relations with Armenia, to strengthen the established fruitful relations both in bilateral and multilateral formats, within authoritative international organizations, and primarily the UN. As part of the conversation, the Turkmen leader and the head of the Armenian government also noted the important role of traditional humanitarian and cultural interaction as an integral part of interstate relations, one of the key factors contributing to the rapprochement of the peoples of the two countries. After the meeting in a narrow format, a meeting of the delegations of the two countries in an expanded format was held. During the talks, the members of the delegations exchanged views on a number of topical issues of regional and international policy of mutual interest. 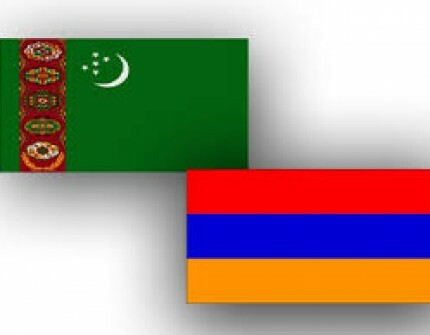 The participants expressed their confidence that the traditional friendly relations between Turkmenistan and the Republic of Armenia will continue to develop successfully.